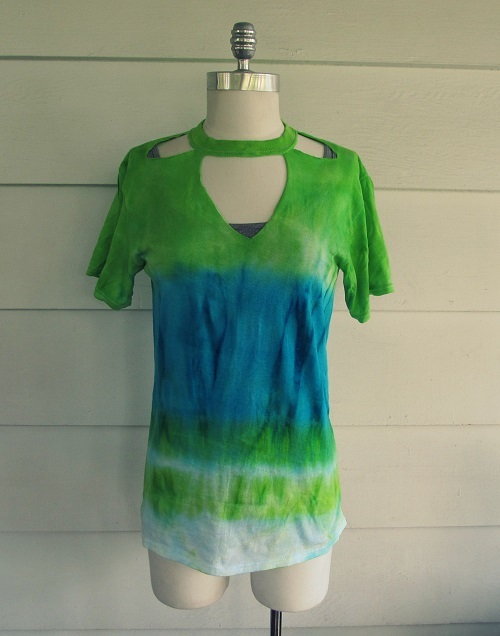 Tie-Dye is one of the most popular and fun ways to re-create a plain t-shirt. 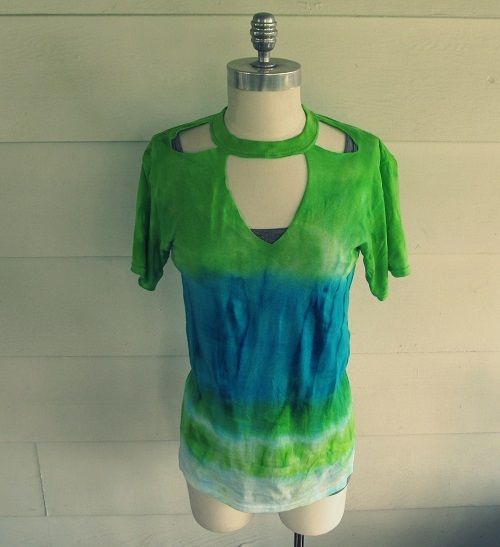 When you Tie-Dye you become your own Artist by making an original piece of art. 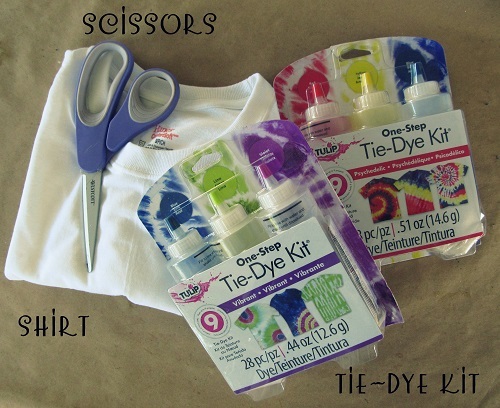 Tulip has made creating that perfect Tie-dyed t-shirt so easy with their One-step Tie-dye kits. 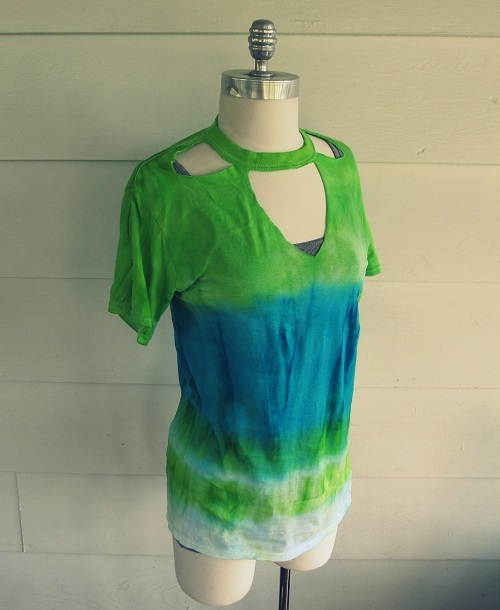 This kit has become my new favorite way to tie dye. Pick out the colors you would like to use fill the bottle to the line with water. Decide on a design. I wanted green and teal varied stripes. 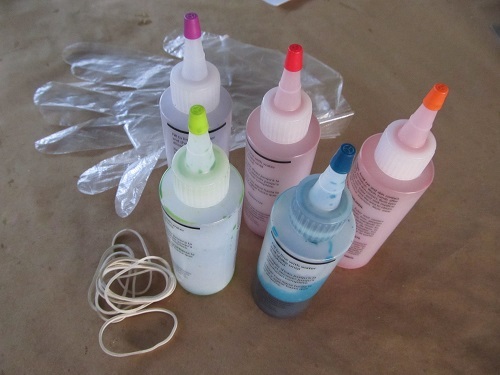 Use the rubber bands provided by the kit, and make off your stripes. Let sit for 6-8 hours you can place this in a plastic bag if you would like i just let mine sit as is. 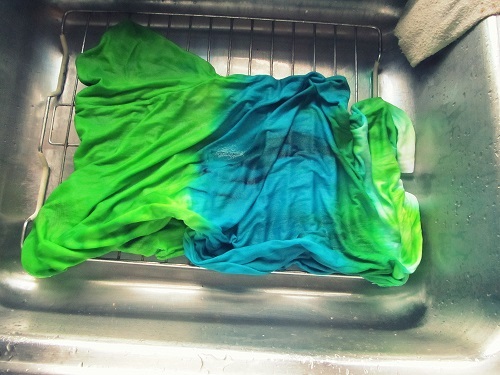 Rinse until the water become comes clear. 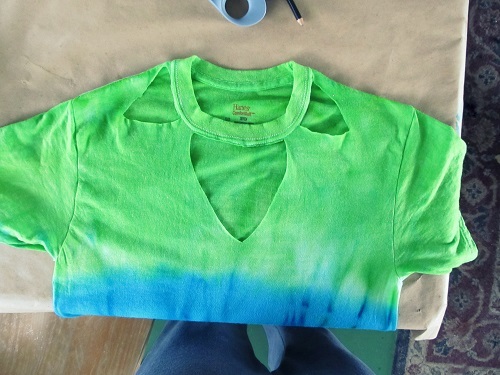 To put my own twist on my shirt, I made cut outs around the top of collar. I cut out two triangle shapes out of paper, one large, one medium. 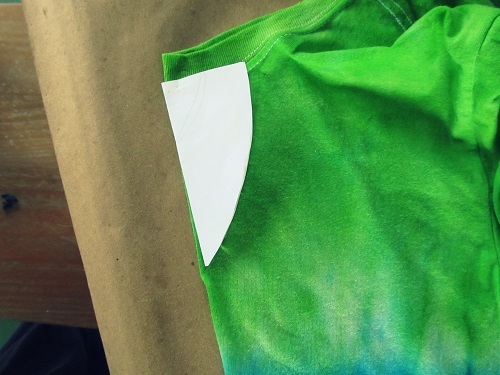 I folded the front part of my shirt in half and folded the triangle in half and traced it on to my shirt. 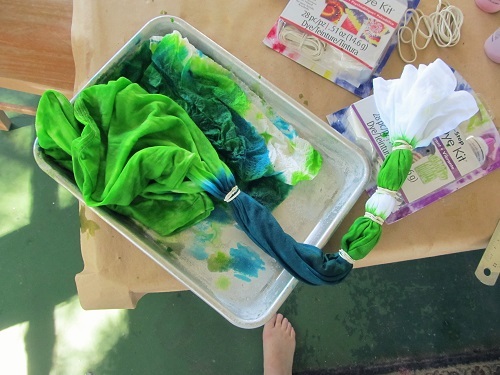 There are lots more Tie-Dye ideas on Tie Dye Your Summer. and more T-shirt Ideas on my site Wobisobi.